The social media giant last week said that it would make its ads indistinguishable from regular posts and hence impossible to block. 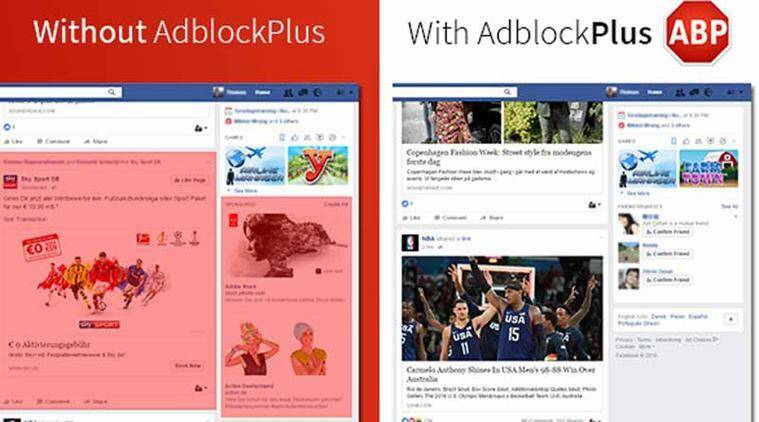 The developers of leading adblocking company Adblock Plus released an update which enabled the tool to continue blocking Facebook ads. A team of researchers who include an Indian-origin scientist has created an experimental ad that proves that Facebook cannot win against ad blockers on its platform. But soon, the developers of leading adblocking company Adblock Plus released an update which enabled the tool to continue blocking Facebook ads. Now, Assistant Professor Arvind Narayanan and undergraduate Grant Storey from Princeton University have created an experimental ad “highlighter” for the Chrome browser to prove that Facebook’s effort may not yield desired results. “When you have ‘Facebook Ad Highlighter’ installed, ads in the News Feed are grayed out and written over with the words ‘THIS IS AN AD’,” said a report in MIT Technology Review. According to the Princeton team, Facebook can’t prevent their experimental add-on for the Chrome browser graying out ads in the News Feed. “What’s happening here is that Facebook’s HTML code for ads has slight differences from the code for regular posts, so that Facebook can keep things straight for its own internal purposes,” posted Narayanan in a blog. “But because of the open nature of the web, Facebook is forced to expose these differences to the browser and to extensions such as Adblock Plus. The line of code above allows Adblock Plus to distinguish the two categories by exploiting those differences,” he added. The “Facebook Ad Highlighter” looks at the parts of the Web page that are visible to humans. “We’ve created a prototype tool that detects Facebook ads without relying on hidden HTML code to distinguish them,” Narayanan wrote. “This is a simple proof of concept but the detection method could easily be made much more robust without incurring a performance penalty,” he added. Facebook also asked its users to identify which ads they do not like to allow the firm to collect in-depth information for marketers.